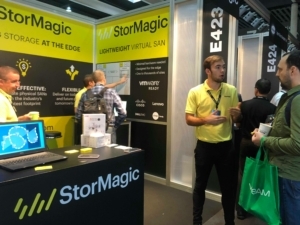 Last week, the StorMagic team joined a few hundred other exhibitors and 13,000 attendees at VMworld Europe in Barcelona . Thank you to everyone who came to see us in booth E423. 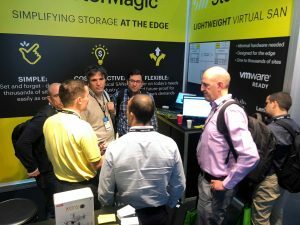 It was a great event and we enjoyed speaking to hundreds of attendees about how we simplify storage at the edge. We’d also like to congratulate our three drone winners, thank you for stopping by the booth and we hope that you enjoy your prize. We enjoyed many promising conversations with potential future partners, as well as many valued existing customers and partners. As well as this, StorMagic Principle Technical Director, Mark Christie ran live demos throughout the event. 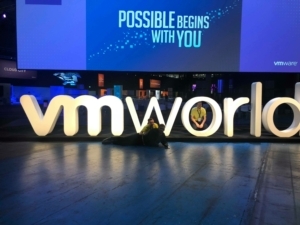 Our next event will be Cisco Live Europe, in Barcelona, in January. If you’re attending the event and would like to book a meeting with the team then please do so by emailing [email protected].